Effective Management of Social Enterprises is a copublication of the David Rockefeller Center for Latin American Studies and the Inter-American Development Bank. What makes civil society organizations effective performers? What are key practices for businesses creating social value activities as a part of their overall operations? Business leaders have long analyzed corporate practices; this book represents an innovative analysis of how one does good in an effective and strategic manner. This book aims to enable social and business leaders to gain a greater understanding of how to achieve high performance in terms of social value creation. Social Enterprise Knowledge Network is a research partnership encompassing eleven leading management schools—nine in Latin America, one in Spain, and Harvard Business School—with a demonstrated capacity to produce high-quality, original, field-based research in Latin America. Based on the results of a two-year research process on how social and business organizations in Iberoamerica achieve superior social performance, Effective Management of Social Enterprises presents the most comprehensive and in-depth analysis of such practices ever undertaken in this region. 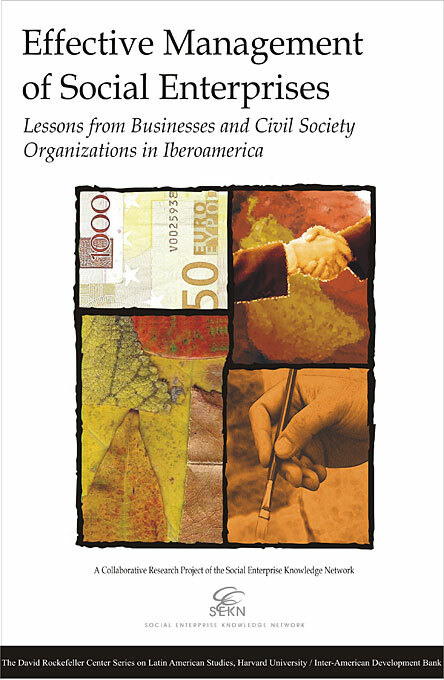 This practitioner-oriented book also enriches the literature on organizational performance, social enterprise, and corporate social responsibility, and on Iberoamerica more generally.